Middle East Roundup: From China to Iran, Iraq, West Bank Exile, and Suggestive Saudi Potato Chips……. In Iraq, it looks like Muqtada Al Sadr has abandoned his near-alliance with caretaker PM Haidar Al Abadi. He has now called for Abadi to resign. My comment? If it holds up, that will seal the fate of the incompetent PM. Alliance with Muqtada was Abadi’s only route to remaining in power, after he threw his Iranian and PMU allies under the bus to appease Donald Trump. Israeli and other media report Israel has banned teenage Palestinian protester Ahed al-Tamimi of the Occupied West Bank from traveling abroad. My comment? That’s freedom for you, in the “only democracy” in the Middle East. But it’s done all over the Middle East, banning travel of dissidents From Tehran to Riyadh to Cairo and Algeria and beyond. It is a form of internal exile, to be locked up within the borders. Probably better than a prison or a dungeon. Unless you can escape into external exile before it is too late. Saw an article in Foreign Policy to the effect that: China’s Continent-Spanning Trains Are Running Half-Empty. Beijing’s funding dozens of new rail routes as part of its global ambitions — and losing money on every one. So what’s the long game? My comment? That is China. Meanwhile, back in the USA, Mr. Trump’s Infrastructure non-plan is still just hot air, unexplained and likely misunderstood by Trump, opposed by a small-minded miserly short-sighted Congress. Reports that the US administration has warned Syria not to attack the Jihadists holed up in Idlib. Some US sources even claimed the Syrian regime is preparing to use chemical weapons against the rebels in the region. Idlib is the last major outpost of the Al Qaeda-led Salafist terrorists in Syria. My comment? Who would have thunk it! That a day would come when the USA (Trump Admin) is allied to an Al Qaeda Salafist branch in Syria. September 11, 2001 forgotten, buried in Wahhabi oil money. And how do they know the Syrian regime will use WMD? Did the Jihadis tell them, directly or through Israeli or Arab sources? A piece sponsored by the Atlantic Council suggested that “Iran and the US Should Use the UN to Reopen a Channel for Dialogue”. My comment? To start with: Trump has just reneged on the UN-adopted JCPOA Nuclear Deal. As a rule, US Iran policy (and Middle East policy) should be formulated in the United States, in Washington DC, as it was in the past, not in Tel Aviv or Jerusalem (or Las Vegas or Evangelical-LalaLand). And it should not be based on the whims and purchasing power of a few Persian Gulf absolute princes and potentates with money to burn. The Washington Post reports from the Democratic Kingdom of Saudi Arabia that a man was detained in Saudi Arabia for eating potato chips with a woman — and then posting the video. My comment? Sharing a bag of potato chips with a woman in Saudi Arabia can be very suggestive. Especially if her whole face is completely covered with a burqa/niqab, which makes it even more suggestive, even if nobody can tell who she/he/it is. 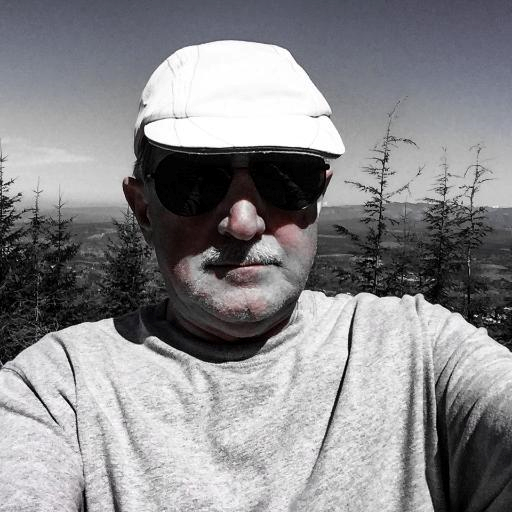 There But for the Grace of God: Großvater Trumpf to Grandpa Hitler to John Bolton…..
Did you know: Adolf Hitler was thinking of emigrating to the USA from Austria? Just like Großvater Trumpf did from Germany? Like so many others in Europe did at the time. And almost around the same time, early in the 20th century. Then The Great War (WWI) started. I believe there were some hints of that among his Mein Kampf rantings. Otherwise could there have been a President Adolf Hitler III, elected in 2016, without the murderous baggage of Nazism and WWII? He could even have been elected as a Democrat. Imagine, Großvater Hitler could have saved the lives of tens of millions in Europe, had he followed the Trump-(f)s to America. His grandson could have ended up in the White House, screwing up America instead. He (Adolf Hitler III) could have been elected even with a small acceptable toothbrush moustache and his vegetarian bent. He could win Red Beef states like Texas and Montana even if he were a vegetarian like his Grandpa Hitler. He wouldn’t even be considered a maniac: instead he could have hired a real maniac like Ramsay or John Bolton with his bleached walrus moustache to screw up the Middle East and bomb more Muslim countries…. Some reports also claim that the immigrant Herr Trumpf, the Großvater of Donald, didn’t like it in America, wanted to return to Germany. But the Great War (WWI) started and precluded that. So he settled down in New York….. Which Saudi King will Visit Donald Trump? What about Sisi, the Big Magical Globe, and Male Exotic Dancers……. My very own global correspondent has added: Saudi King Salman will visit Trump early next year, if he is still king of Saudi Arabia. Otherwise the new king, so far slated to be his favorite son Mohammed Bin Salman (affectionately called MBS in the palace), will do the visit. The timing of the Washington pilgrimage/Hajj in that case will depend on if and when the new king replaces his father on the throne. It almost like a race: whether the royal visit precedes or follows the new king taking the throne. Some Saudi exiles who claim to know are betting that King Salman will not be king for long: some give him weeks, others give him only a few days from now. It is also not clear whether the king will ask for a complete recreation of the magic of the Riyadh Summit in May. Complete with the Guru Stephen Bannon, Herr Doctor Sebastian Gorka (PhD), the all-male Arabian exotic sword dancers, and the other more fetching accoutrements. Strategic OCD? America’s Obsessive, Compulsive, Endless Muslim Wars on Cruise Control….. This piece by the Onion is almost funny, until you look at a map of the Old World. From Asia through the Middle East to Africa. With more very likely to come, possibly deliberately provoked by the Trump Administration or by local Trump-allied Arab princes and potentates, in the Persian Gulf, possibly Lebanon, and in other Muslim places…. As I have suggested more than once: why not bomb some other part of the world for a change? 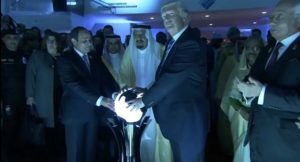 Become an equal opportunity bomber…..
During the Saudi-American Summit in Riyadh, President Trump, King Salman, and Generalissimo Sisi had some fun playing with their ball, or rather with one of their balls. Okay, playing with someone’s mysterious ball. It was an eerie fluorescent white ball, made eerier by the three grown men fondling it for benefit of the cameras. I assume it was a Saudi ball, some Saudi’s ball, since it as hosted in Riyadh. Unless it was Trump’s, that he had donated one of his balls for that occasion of sorcery and witchcraft and magic. Sorcery, witchcraft, and magic are activities that are punishable with death by beheading in Saudi Arabia. But anyone can play with their own ball as much as they want, apparently they can also play with someone else’s ball, provided it is done with consent. That photo elicited reactions from all over the world. But some European reaction was the most succinct. The leaders of the five Nordic countries, decided to do their own show of sorcery, magic, and witchcraft. 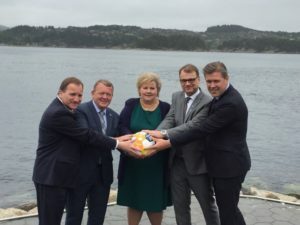 The leaders of Denmark, Sweden, Norway, Finland, and Iceland chose a better and more open setting, near some body of water, rather than in a dark room full of Wahhabi zealots. And they chose a colorful ball. Not sure whose ball it was, but could be any among the five leaders. Any four among the participating leaders. And the Scandinavians looked more cheerful about it: the ball looks, shall we say, livelier. 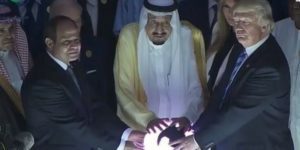 The Trump-Salman-Sisi ball-fondling looked like a grim affair, as expected. In spite of the dimmed lights. In case you were interested…..
American Economic and Political Dilemma: Robots Replace Workers, Idiots Replace Political Leaders……..
No real surprise here, and not only robots. If you have not been living on a faraway planet in another galaxy, you’d notice something happening, a trend, for several years. It is not only an issue of robots replacing workers. Some of the most important jobs in the United States, the most important jobs, all the way to the top, have been taken over by idiots and fools, especially in Washington DC. Most of the political jobs and especially the jobs of their leaders in both the U.S. Congress and the White House have now been taken over, almost completely, by utter idiots. Or so it seems. Thanks to its new generation of leaders and their backers and their owners, America may well be on its way to rejoin the Third World. In Congress, each side has been engaging in self-gratifying political ideological masturbation. Partner-less of course by definition. Class distinctions are already sharpening, ethnic and religious distinctions are being encouraged, and self-serving Think Tanks of Hate are rolling in dark money. All this is probably a bit of an exaggeration: no country in the world, or in its history, has been or is as resilient as the United States of America. This shall pass. There is always hope, as long as there are free and “unfettered” elections coming. As long as the people remain educated. Politics is a series of experiments, an exercise in trial and error. More on this later, stay tuned. Kingdom of Delights: ‘Pokemon Go’ Declared a Heretic, Banned by Fatwa……. A Fatwa is a religious edict often issued by Muslim clerics, whether they are authorized or not, that aims at one of several things: (1) keeping the faithful, and the unfaithful, away from sin and abominations (not always the same); (2) making life a bit harder, making sure not everybody is having more fun than they should be decently having (excluding the princes and their minions); (3) making the faithful and the unfaithful aware that the particular cleric exists (not exactly: I Fatwa, ergo I am). 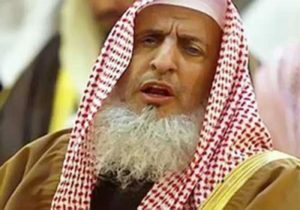 The Mufti of Saudi Arabia, Shaikh Al Al Shaikh finally had his group issue a fatwa asserting the ban on Pokemon Go in the Kingdom of Fun and Delights. No news about the fate of Pokemon Go in Iran yet: the mullahs have not opined yet. On the other hand, why would they need Pokemon in Saudi Arabia when everybody is having so much fun already? Meanwhile, in the ultimate Salafi Wahhabi realm, in the Caliphate of Islamic State, I hear they are looking for Pokemons to behead in public in Raqqa and Mosul. You see, Pokey is suspected of being a Shi’a, hence a heretic who is behead-able, whose throat is slit-able by Salafi standards. FYI: Gambling, gaming, and other types of sin, are banned in Islam, except for princes who can travel to Europe and Las Vegas. Having a palace with walls also qualifies one for exemptions, without reducing their chances at deferred heavenly delights. Beards and Zeitgeist: Leftist Beards, Zayed Beards, Islamist Fuzz, Lice and Orangutan………. It seems that the fate of the facial hair we call the “beard” is often tied to the political atmosphere of the period. Part of the Zeitgeist. Decades ago, a young man with a beard in the Americas or in Europe was considered a radical, a suspected follower or admirer of Fidel Castro, Che Guevara, (or even Dobie Gillis and Bob Denver). In fascist-ruled places like Chile, Argentina, and Greece they were thrown into prison or just disappeared on suspicion of radicalism or impiety or non-conformity. In some West European airports, bearded youth were often questioned more carefully. That was then, long before the world ever heard of Radical Islam. At the same time, in Saudi Arabia any man who was ambitious grew a goatee beard (like the one Bob Denver and Dobie Gillis sported). From the king on down, they all flaunted the goatee (some Arabs called it saksooka). But that beard was not a radical political statement: just a show of solidarity with the eternal Saudi conformity rules. FYI: I suspect that “goatee” drives from “goat“, which means these guys admired something about their goats. Maybe just the looks. 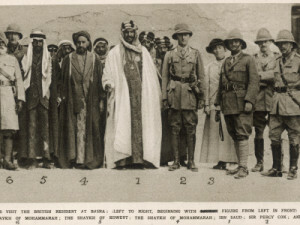 First: the Afghan war erupted, with the Western secular governments and Arab Wahhabis aligned with the reactionary Afghan tribes against the God-less Communists. That war created a whole new generation of Islamic guerrillas. Al Qaeda started in Afghanistan, with Saudi money and Arab volunteers and American (Reagan) weapons. We can also say that it was the genesis of the Taliban and ISIS and Al Nusra and other cutthroat groups. The first Afghan war gave us the shaggy unruly lice-infested Wahhabi beard so loved by our Persian Gulf Salafists. One more complication: many Salafi elders, to show that they are among the top elite, tend to die their beards, often a bright red (Orangutan) color, as rusty as their brains. Maybe it is to appeal to their wives. A few let them let it go gray. 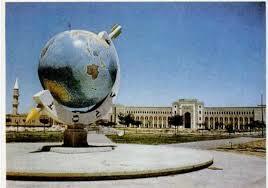 Second: the Iranian Revolution succeeded in February 1979. Mullahs with shaggy beards and heir followers with trimmed beards took over in Tehran, replacing the clean shaven men of the Shah, King of Kings, Light of the Aryans, etc, etc. An Iranian form of conformity has spread since then: all men of importance in the regime sport a short beard. Not the shaggy lice-inviting type the Salafis have, but a more trimmed grizzly beard. Long enough to be noticeable but too short to invite the lice or particles of food. Other Muslim countries have their own variation of these two extremes of beards. In the United Arab Emirates (UAE) many influential officials now sport the trimmed neat Zayed-Brothers beard. So named after the seven or dozen (or more) brothers who own Abu Dhabi and rule the UAE. In Egypt a beard is okay if it is the shaggy lice-inviting type, for it indicates the man is an ordinary Salafist who can be bought and not a Muslim Brother. In Syria, well, no matter what kind of beard you have in Syria, it can get you killed, or worse, by any group of armed Jihadis, liberators, invited foreign guests, un-invited foreign guests, cutthroats, or just plain regime forces. You can also get bombed by Syrians, Russians, Americans, British, or Israelis. Who was it who said: “Hands Off Syria“? So, in any struggle in our Middle East region today, even in my native Gulf region, you need to scrutinize the beard carefully. You also need to understand the nuances and differences between the various kinds of beards and if they are dyed and what color. Your career, fortune, and life could depend on it. I have occasionally commented in my posts here on the humor or lack of it in the Middle East. Anyone who reads my posts on humor would know that the region between Waziristan through the Persian Gulf and all the way to Algiers suffers from an acute lack of humor. With a few possible pockets of ‘some’ limited humor in the region. Which brings me to Egypt, the once jewel of Middle Eastern and African humor. It used to be the most, possibly the only, Arab country with a sense of humor. Not anymore. Egyptian humor was famous under Gamal Abdel Nasser, and it survived Anwar Sadat. Under Mubarak it weakened, perhaps a by-product of increased Wahhabi influence. Now under General Field Marshal Sisi humor seems to have vanished from Cairo, even as Wahhabism is going mainstream. Thousands of political prisoners, many disappearances and a rising campaign of terrorism can do that to a society. As for my native region on the (Persian) Gulf. I recall when I first graduated from college in America and went home. I was used to people smiling at me or smiling back at me in public places in the USA. Even the dogs in the parks would try to lick my hand or hug my leg tightly and in a suspicious way, if you get what I mean. Back home, whenever I stopped at a red light and looked at the car next to me all I saw was a frown, mostly a scowl and a silent growl. 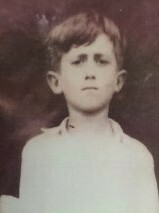 Whether I looked to my right or my left, I was always rewarded with a scowl. Later on I realized that it was just a result of insecurity and some suspicion, not hostility. Many people on my Gulf often feel that they would not be taken seriously or respected unless they scowled at others. Nowadays it has gotten even more complicated. Other factors have entered the equation: by the time they figure out which tribe or religious sect you belong to, it is too late to smile. Still, I never respected someone who answered my smile with a scowl anyway. But the scowls worked: I stopped smiling at strangers back home. WTF: Railway Link to Yemen, from Funny GCC to Asinine GCC…..
Je suis un escargot (de jardin). I am an English Muffin. Yes, I am a raspberry Tart………. Multidisciplinary: Middle East, North Africa, Gulf, GCC, World, Cosmos…..
Ilhan Omar vs AIPAC: a Democratic Glass Curtain becomes an Iron Curtain…..
Israel and Hezbollah: From the Swamp of Ramallah to the Fires of Beirut……….